Harder Real Estate Group, Warner Robins’ Premiere Real Estate Company, welcomes you to explore the Middle Georgia Area. At Harder Real Estate, we help you find your desired lifestyle, and then help you find a home to match. We come to know our listed properties as well as anyone except the homeowner. Our knowledge and insight into the market of Warner Robins is all geared to get you into your desired home. Helping you understand the current market conditions, assisting you in competitively pricing your home, ensure positive showings, aggressively marketing your home -all of these measures and more are taken so that we can reach your goal in getting what you want in the timeframe you want. We offer our landlords a variety of options, including full property management, tenant placement, and existing tenant management. We have streamlined our services to operate online by accepting credit & debit card rent payments, deposits, and repair requests. Search homes for sale in Warner Robins, Perry, Bonaire, Kathleen, Centerville. Updated every 15 minutes. List your home with Harder Real Estate Group and take advantage of our premier online marketing package. Looking for a home in a specific subdivision? We have 160+ subdivisions with homes actively listed for sale. Click here for our Rental Application. Pay your rent or holding fee online using your checking account, or debit card. At Harder Real Estate Group we are dedicated to make our website the source for Warner Robins newcomers, visitors, and residents. Our featured homes are properties currently on the market for sale. Harder Real Estate Group, LLC with its Harder Realty Sales division in Warner Robins is your local Real Estate Company that can help you guide you through our community and find your Dreamhome right here in Houston County. Search homes for sale by city. Our service area includes Warner Robins, Centerville, Perry, Kathleen, Bonaire, Byron, and Kathleen. Please select one of the cities and see all homes for sale. All listings are updated every 15 minutes. Many homebuyers choose new construction homes; houses that owners can put their own personal touch on. With a new construction home you are often able to choose your own finishes. Depending on the phase of the new construction home, the builder might be able to customize the home with your choice of flooring, tile, wall color, cabinetry, countertops, lighting, and fixtures. If you are planning on buying Foreclosure Homes in Warner Robins, we can help you find the best deals. Harder Real Estate Group has access to many Foreclosure Homes and Bank Owned Properties that are currently on the market for sale. Some Foreclosure Homes might not be listed yet and are only available through the bank. We can show you these properties and let you know which ones are available for sale. With hundreds of homes listed for sale in Warner Robins, our area is a striving community that attracts thousands of residents each year. Our free MLS search lets you search all homes that are currently listed for sale. All listings are updated every 15 minutes. Are you looking for homes for sale with swimming pools in Warner Robins, GA? You came to the right source! We created this Warner Robins GA swimming pools page to search for homes for sale with pools and spas. At Harder Real Estate Group, we offer excellent tools and services to help buyers and sellers in this complex and exciting market. 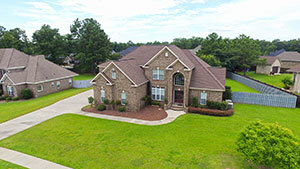 Warner Robins Luxury Homes are extremely hard to find in the Warner Robins area. We are giving you the tools to find homes listed for more than $500,000 in this area. If you would like more information on one of these beautiful estates, please call Harder Real Estate Group at (478) 287-2004. Warner Robins GA is located in the heart of Middle Georgia, and with Robins AFB minutes away, our growing community is one of the fastest growing regions in the state of Georgia. Harder Real Estate Group in Warner Robins GA is your local Real Estate company that can help you guide you through our community and find your next rental home right here in Houston County. Warner Robins, GA has a variety of subdivisions to choose from. New construction, re-sale, established neighborhoods, and modern contemporary subdivisions. At Harder Real Estate Group we would like to briefly introduce our wonderful Subdivisions in Warner Robins GA were you can find all available homes for sale for each subdivision. All real estate listings are updated every 15 minutes. Harder Real Estate Group, LLC offers best-in-class real estate marketing in Warner Robins for all properties listed. We understand that you have many agents and companies to choose from and we are excited to be considered as your real estate company of choice to market your home. We focus on online marketing to expose your home to the best possible number of clients. Our service includes aerial / drone photos of your home, professional interior & exterior photos, and 360 degree Virtual Realty videos. Harder Real Estate Group is a Warner Robins Real Estate & Property Management company. Our service area includes Warner Robins, Centerville, Perry, Kathleen, Bonaire, and Byron. Harder Real Estate Group was incorporated in 2015 based on our commitment to form a next-generation real estate company. Our focus is exceptional and personal customer service and targeted, high-end marketing. We continue to set the bar in the Warner Robins, GA real estate market for Internet exposure, professionalism and performance. Our Property Management division offers a variety of options, including full property management, tenant placement, and existing tenant management. We have streamlined our services to operate online by accepting credit & debit card rent payments, deposits, and repair requests. We direct deposit the rent payments into our landlord accounts each month to eliminate checks & paper waste and help our environment.